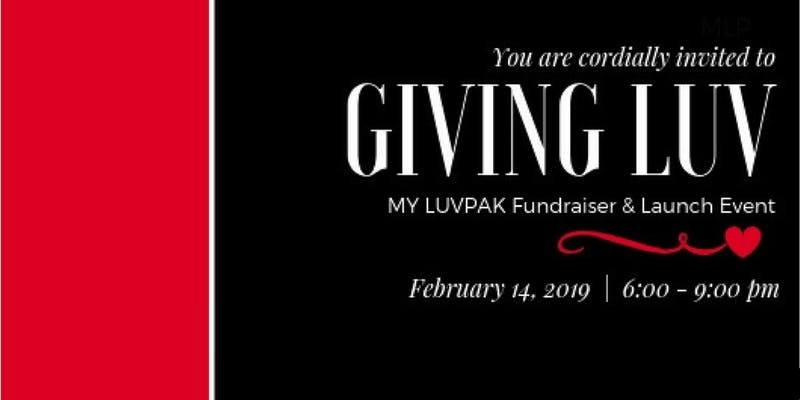 My LuvPak’s aspiration is to provide joy, hope & comfort to all children coming into care, or who are affected by poverty and homelessness. By providing a Luvpak filled with hand-picked belongings to call their own, we aim to bring a sense of self-worth to each child. Each individual LuvPak is filled with personal belongings designed to meet the psychological & emotional needs of every child coming into care, coming off the streets, or being hit by overwhelming poverty. Please join the PCS team on Feb 14 and share the luv. Each year approximately 5,800 kids in Alberta must be rescued from threatening home situations. These children frequently enter foster care with nothing of their own, often transporting what little they have in a garbage bag. My Luvpak’s aspires to provide joy, hope & comfort by presenting a Luvpak filled with handpicked belongings to call their own. Our Mission is to fund and distribute 2,000 of our unique backpacks in Edmonton and Area. Each Pak is designed to meet the psychological & emotional needs of a child coming into care, coming off the streets, or being hit by overwhelming poverty. We work alongside the agencies & organizations in the Edmonton area who work tirelessly to provide care. Did you find this blog post Informational? It's time for you to focus on growing your business - we'll focus on keeping your books. Let Preferred Client Services handle your bookkeeping needs.